Telangana State Level Police Recruitment Board has released admit card for TS Police Constable and Sub-Inspector posts recruitment preliminary written test and PMT/PET exam in the form of TS Police Constable Hall Ticket 2016 on their official website. 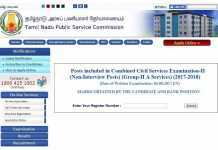 The candidates, who have applied for constable and sub-inspector post, can download their TSLPRB Call letter 2016 for Preliminary Written exam from here as soon as it will be released officially. TSLPRB Hall Ticket Download TS Police Constable Hall Ticket 2016-17. Update (16-04-2016): TS Police Constable PWT Hall Ticket will be available for download from tomorrow, so stay connected with us for the latest news and direct link. TS Police Sub Inspector Hall Ticket for PWT has been released and available for download from the below given link. The candidates can download TS Police SI Hall Ticket 2016 from 9-04-2016 to 15-04-2016 midnight. TS Police Constable preliminary written exam is postponed and is now scheduled to be conducted on 24-04-2016 from 2.30 pm to 5.30 pm. The revised hall tickets may be downloaded from 17-04-2016 to 22-04-2016. Telangana State Level Police Recruitment Board is government agency works under the government of Telangana State. The TSLPRB is responsible for appointing eligible candidates to the department of Police. The board releases various recruitment advertisements whenever there are vacancies available for fill up. The TS Police recruitment preliminary written examination will be conducted in the next month and scheduled as per below table. As the written examination is just a few days away, all the aspirants are searching for TS Police Sub Inspector Admit Card 2016 anxiously over the internet. As per the official notification, the TS Police Hall Ticket 2016 will be available for download before one week from the date of exam, so stay connected with us for latest updates. Jobs Lab team will post direct link of TS Police Constable Hall Ticket 2016 here on this page. TS Police Constable & Sub Inspector Hall Ticket 2016 for preliminary written examination will contain useful information like name of the candidate, date of exam, the name of the post, time of the exam, and address of examination center. The Telangana Police Hall Ticket 2016 is compulsory for aspirants who want to appear in the preliminary written test. 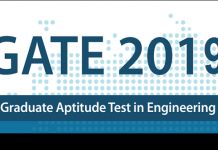 The candidates, who found without TSLPRB Call Letter 2016, will not be permitted to enter the examination centre, so all the aspirants are eagerly waiting for hall ticket. How To Download TSLPRB Hall Ticket 2016? 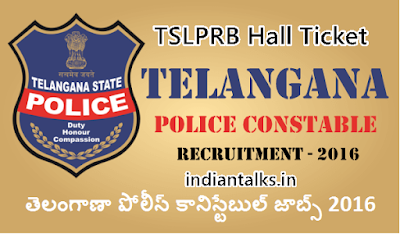 TS Police Constable Hall Ticket 2016 andTS Police Sub-Inspector Hall Ticket 2016 will be available for download on the official website of TSLPRB once it will be released by the Telangana State Level Police Recruitment Board. The aspirants, who have successfully applied for the Telangana Police Recruitment drives, can download their TSLPRB Hall Ticket 2016 by following simple steps given here or through direct link provided by JobsLab team. Now look for TSLPRB Hall Ticket 2016 download link on the homepage and click it. Enter registration number, registered mobile number, and SSC or equivalent Hall Ticket Number and hit submit button. 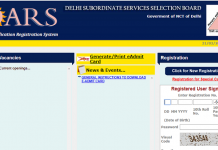 The admit card will be displayed on your screen. The Preliminary Written Test (PWT) for PC recruitment is postponed and is now scheduled to be conducted on 24-04-2016 from 2.30 pm to 5.30 pm. The revised hall tickets may be downloaded from 17-04-2016 to 22-04-2016. 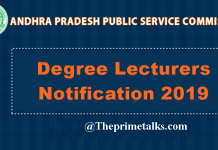 Download Telangana State Police Constable Hall Ticket 2016 .